Here at Dr7 Physiotherapy and Podiatry we treat a variety of different injuries ranging from acute strains to overuse injuries. With the weather improving people are starting to ramp up their exercise regime to shed a few kilos gained over the winter. While we definitely encourage people to participate in regular exercise, beginning a new program can put people at risk of developing pain. This is because the tissues of the body take time to adjust to an increase in load. Known as repetitive stress, it can be a trigger for developing pain. For some people it’s their knee, for some it’s their heel or their hip or their back. For others it’s shin pain. 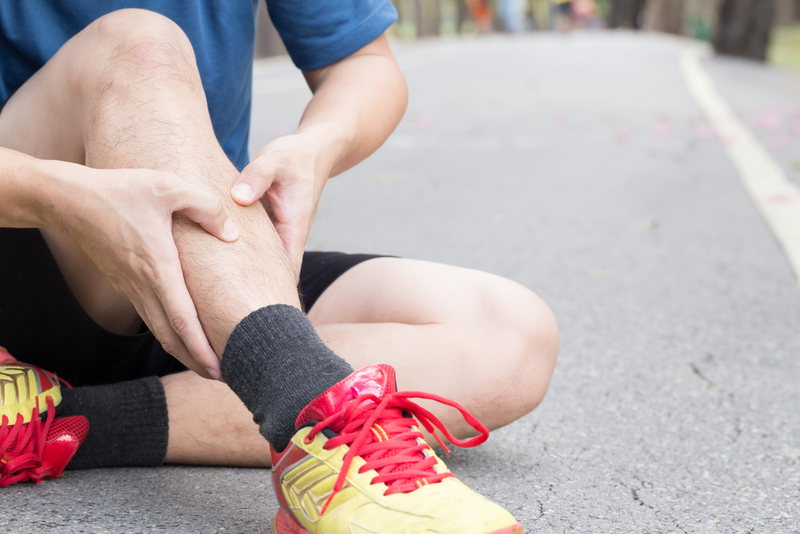 Many people have probably heard of the term shin splints, but what is it? Shin Splints, or Tibial Stress Syndrome is a condition where excessive stress and pressure is applied to the outermost layer of the shin bone. This layer, called periosteum becomes sensitive, painful and inflamed during tibial stress syndrome and the individual will experience pain along the shin bone. The condition is usually related to an increase in running or walking. The pain can be on one side or both and is often described as a dull pain. As there are other injuries that can cause a similar type of pain it is important to have an assessment from one of our physiotherapists. The physiotherapist will check for differential diagnoses such as stress fractures, compartment syndrome, muscle strains and nerve entrapments. Once these have been ruled out they will diagnose you with Shin Splints and help identify factors contributing to your pain. Usually an assessment will involve a biomechanical observation, assessment of your hip and knee strength, assessment of muscle tightness and a balance assessmet. Management of Shin Splints aims to relieve the pressure and stress placed on the periosteum. Dr7 Physiotherapists can provide treatment such as massage, soft tissue release, dry needling/acupuncture to manage any muscle tightness. The physiotherapist may also apply taping to your foot and ankle to improve the biomechanics of the foot and unload the shin. Your physiotherapist will also give advice regarding appropriate ways to modify your training and advise you in self-management techniques such as foam rolling, stretching and icing/heating. Finally the therapist will give you exercises to improve strength and control at the foot, ankle, knee and hip. Unfortunately the best answer is: it depends. Your recovery time very much depends on how sensitised the shin bone is. If you have had shin pain for a long time it’s likely to take longer for the shin bone to become less sensitive. It is also very dependent on your activity level. If you continue to push through painful activity it will add continued stress to the shin bone and your condition will take much longer to settle. Your Dr7 Physiotherapist will be able to give you an indication of your prognosis once they have performed a clinical assessment. If you think you are experiencing shin pain book an appointment at Dr7 Physiotherapy and Podiatry.